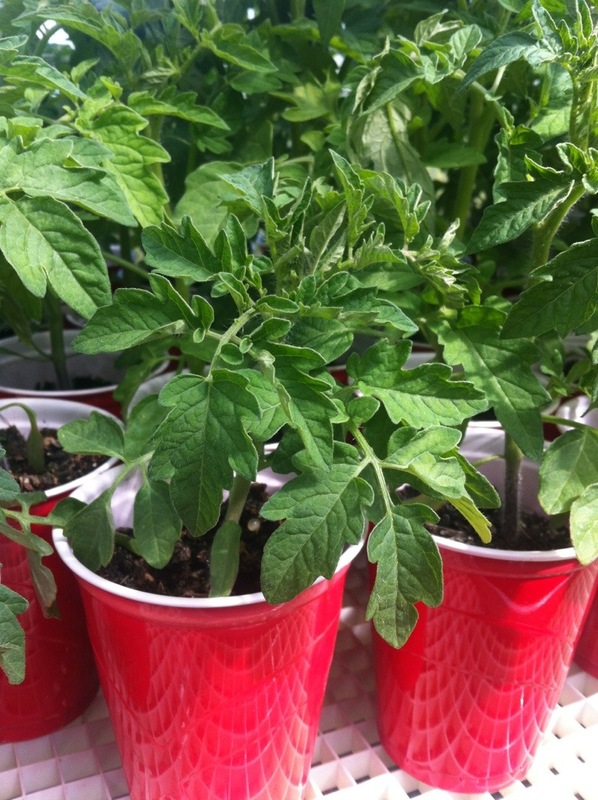 A new experiment for me this year: water tepees for my tomatoes! 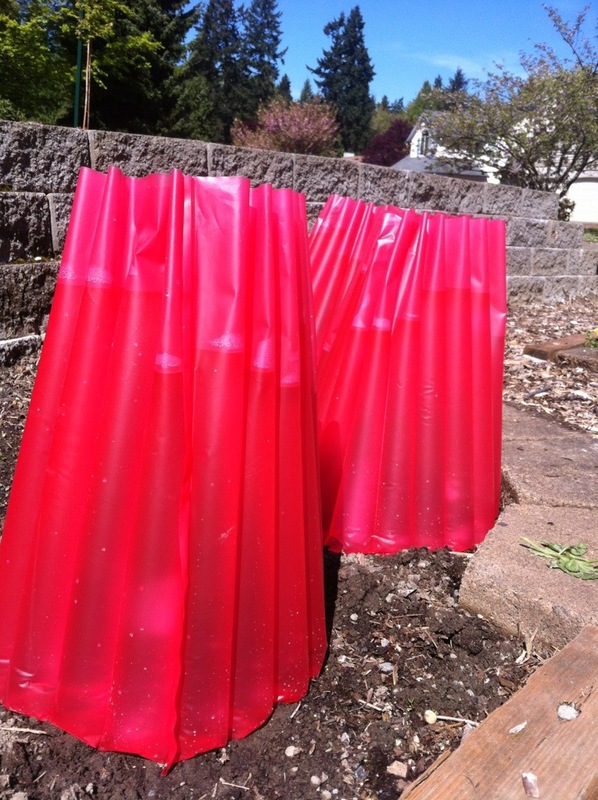 The channels hold water- they absorb heat during the day and keep the plants warm at night, warm the soil, protect the plants from wind and rain, and… I think the red light is supposed to do something good for the plants. 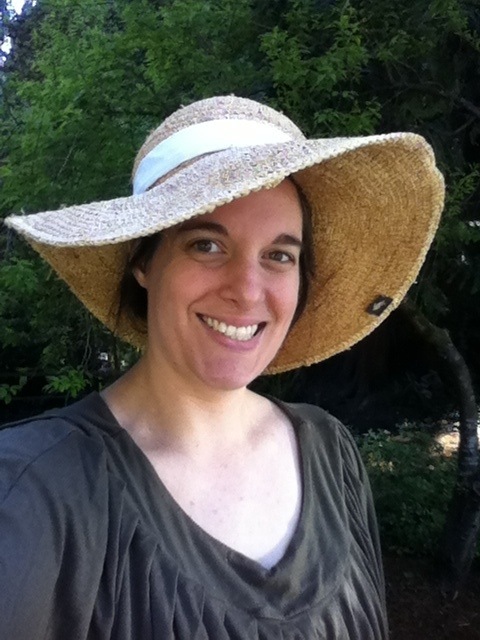 One that was on uneven ground collapsed today- thankfully my daughter was out watering plants and came and got me. Poor little tomato- I staked it up and will try the tepee again this afternoon, with some supports. 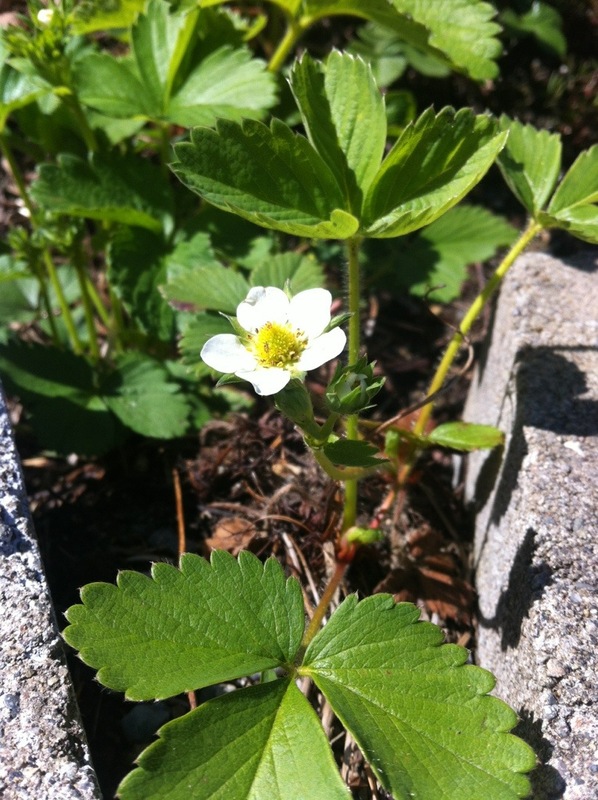 Strawberries are blooming and so is last year’s kale. 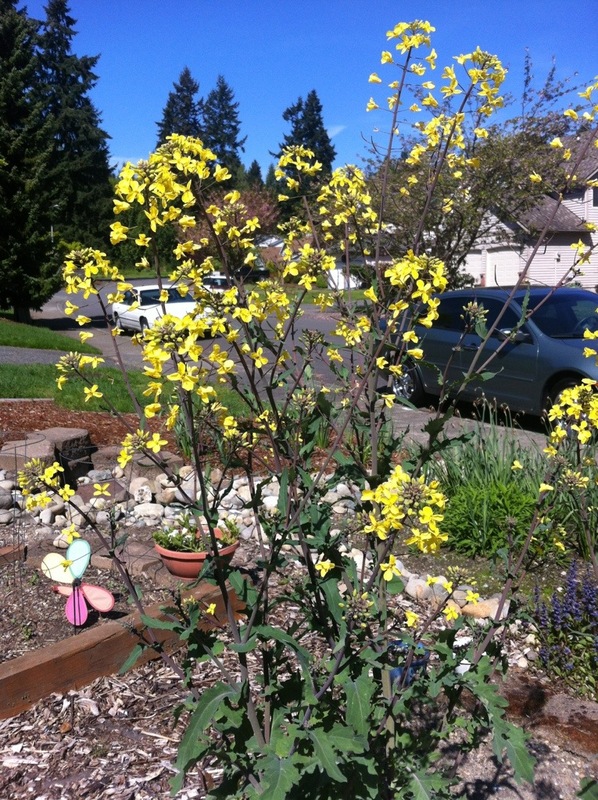 The kale needs to come out, but I wanted to leave the flowers for the bees. 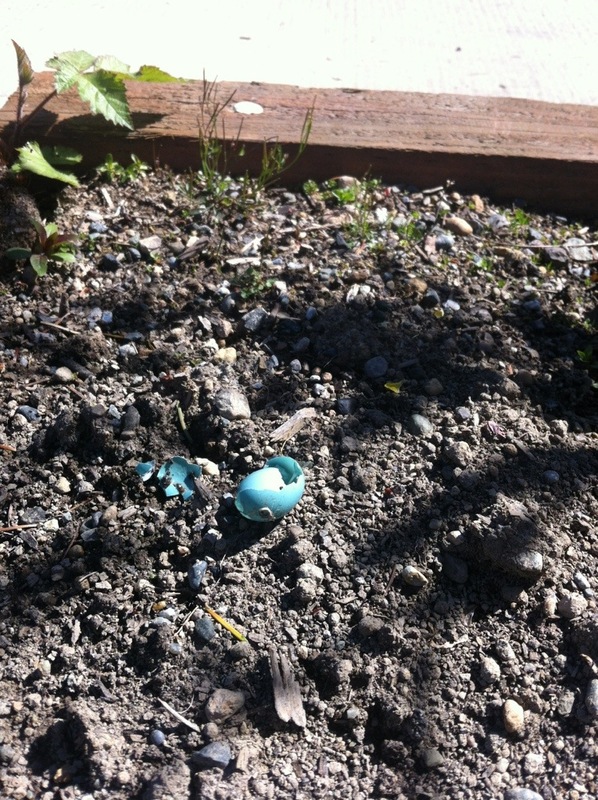 We found a broken robin egg in the garden- we have two or three nests in our yard. I’m not sure how many are occupied, but I think the crows succeeded in stealing an egg. The robins have been ferociously defending their territory the past week, and are always out digging up worms and finding bits of fluff for their nests. 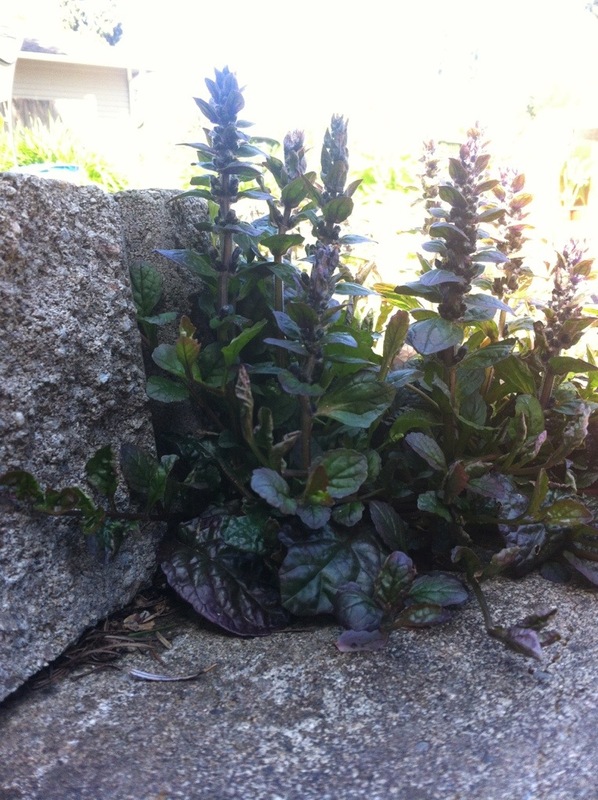 We have some bits of ajuga popping up in the yard- I love the purple leaves and flowers, so I normally leave it. Even when it pops out of my cinder block wall. 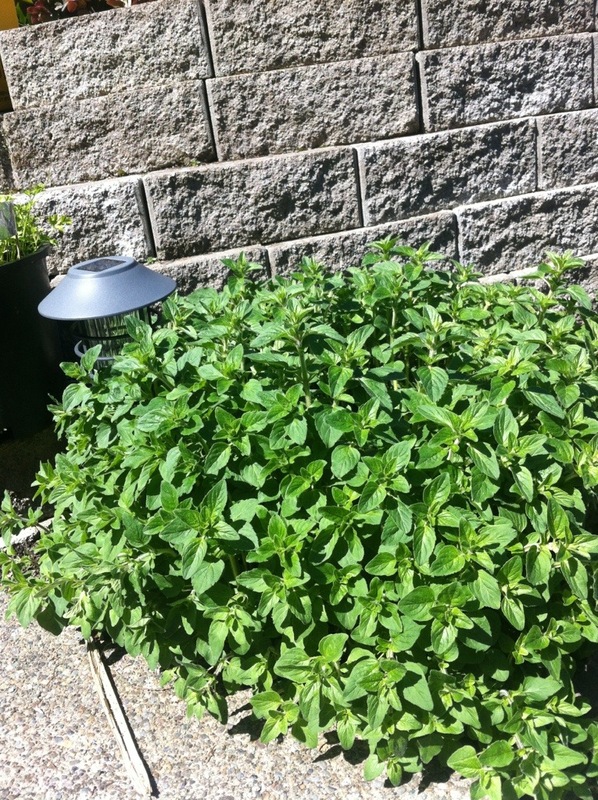 The oregano is getting huge- I need to trim it back and dry the leaves. I like to let it flower in the summer too, because bees LOVE it. My husband and I happened to walk by a p-patch in Seattle a month or so ago. So, so, so cute. 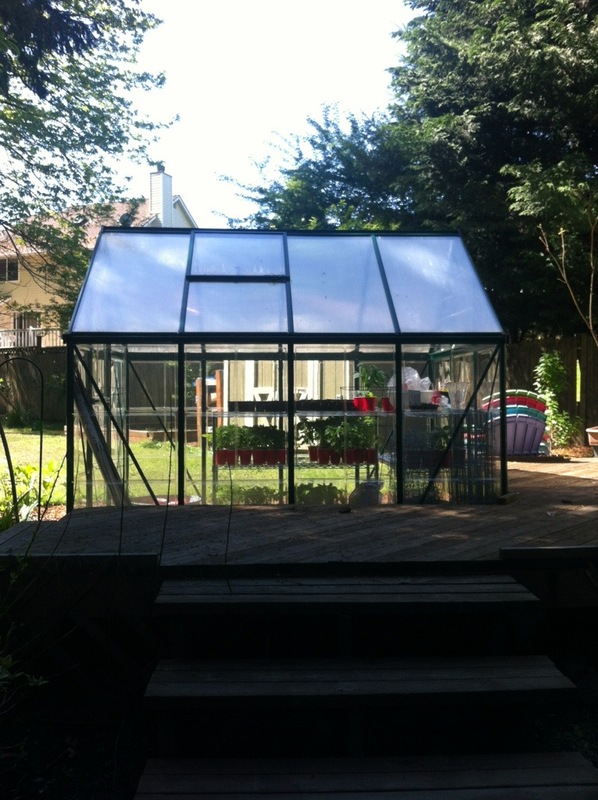 I want a cute garden!! Seriously. Anyway, there was a flower in full bloom that I’d never seen before. Plus, when do you see orange blooms in April? Nearly everything is blues and yellows. 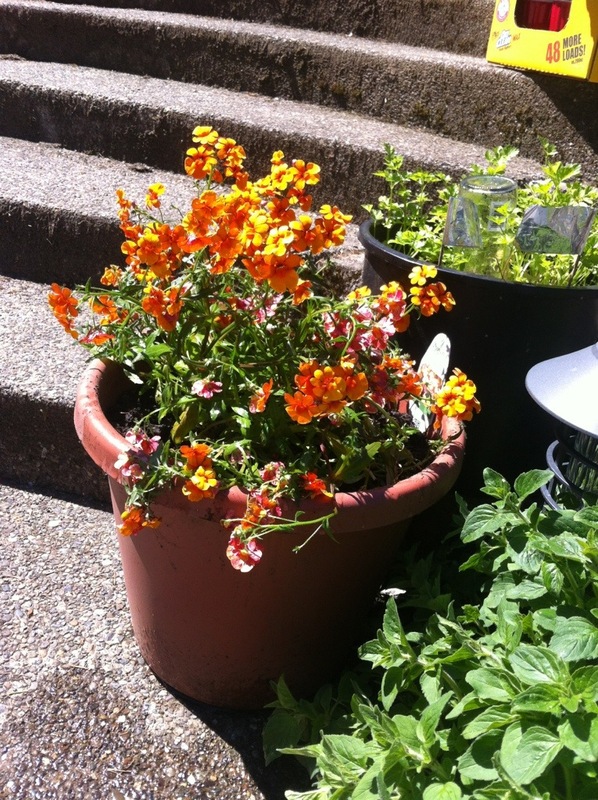 I saw a bucket of it at Freddy’s and it came home with me that day- kumquat nemesia. 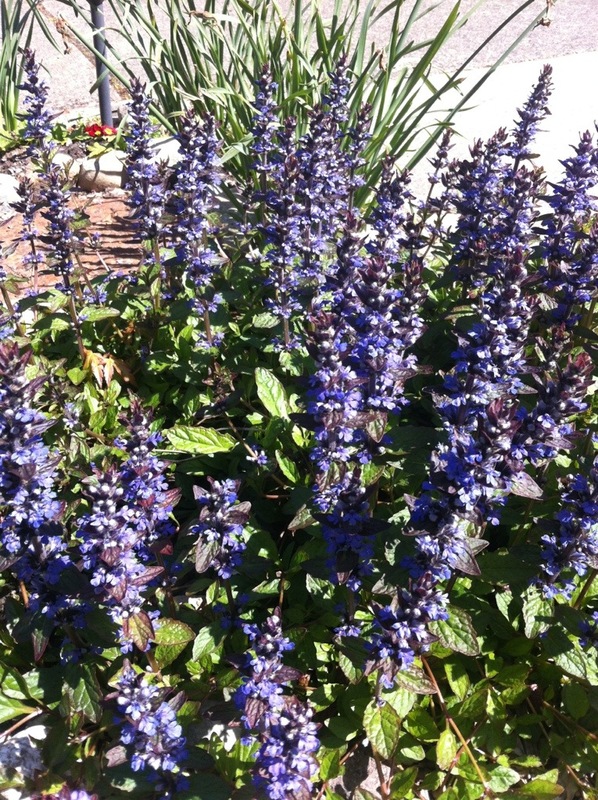 Full sun, drought tolerant, annual, blooms in the spring, not fussy… I am smitten. 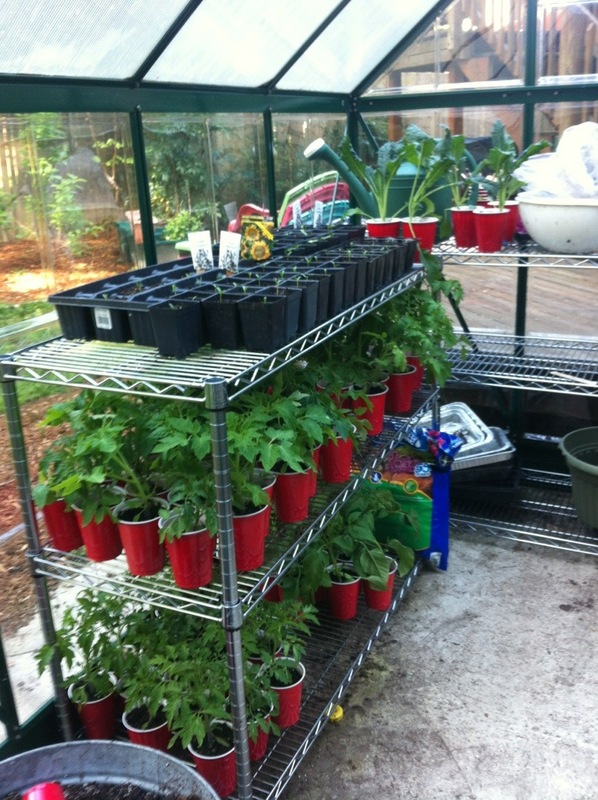 Things are growing nicely- the tomatoes grew fast in Mom’s greenhouse- I brought home about 175 tomatoes, kale, and tomatillos to sell this weekend. 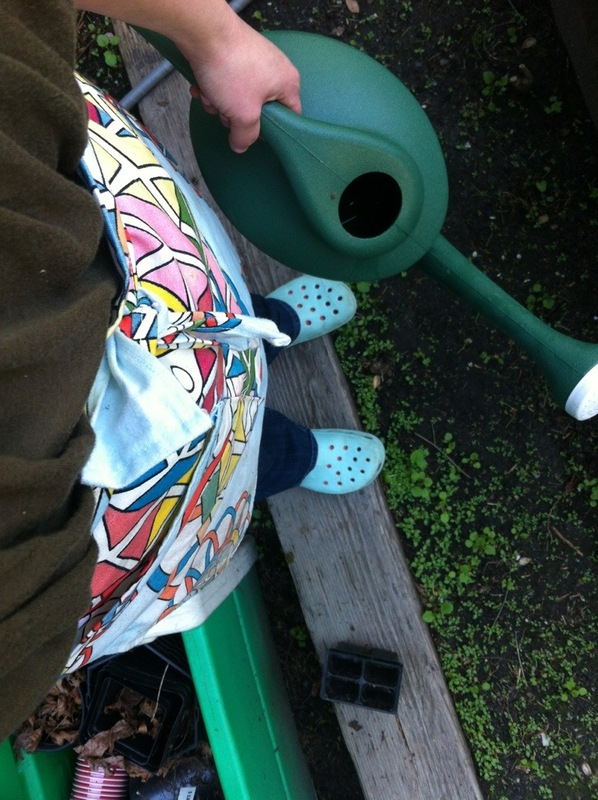 It’s time, they’re getting too big for our pots! They’re all snuggled into my cooler greenhouse now, alongside my fresher seedlings for the warm months. 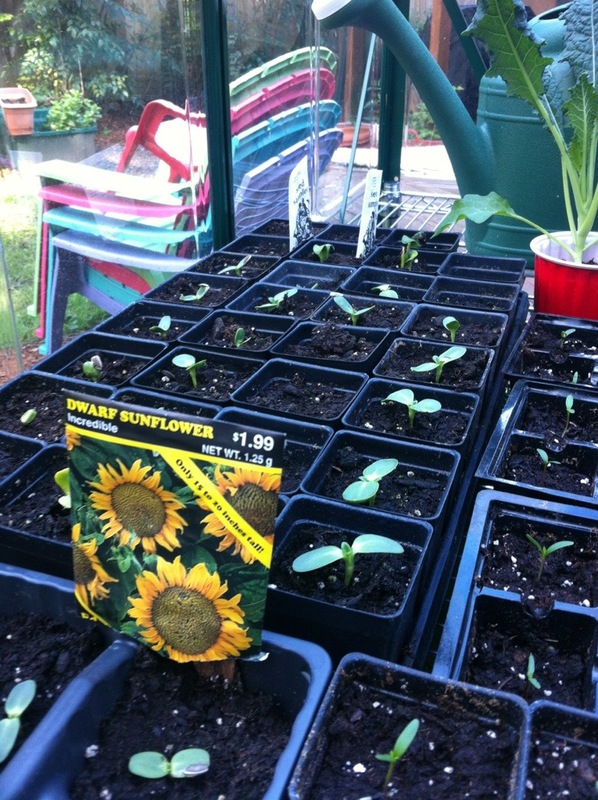 After this heat spell we’re in, I’m going to take my sunflowers, squash, borage, calendula, and marigolds up to the bigger greenhouse to grow for a few weeks. I needed to make some room for them first! 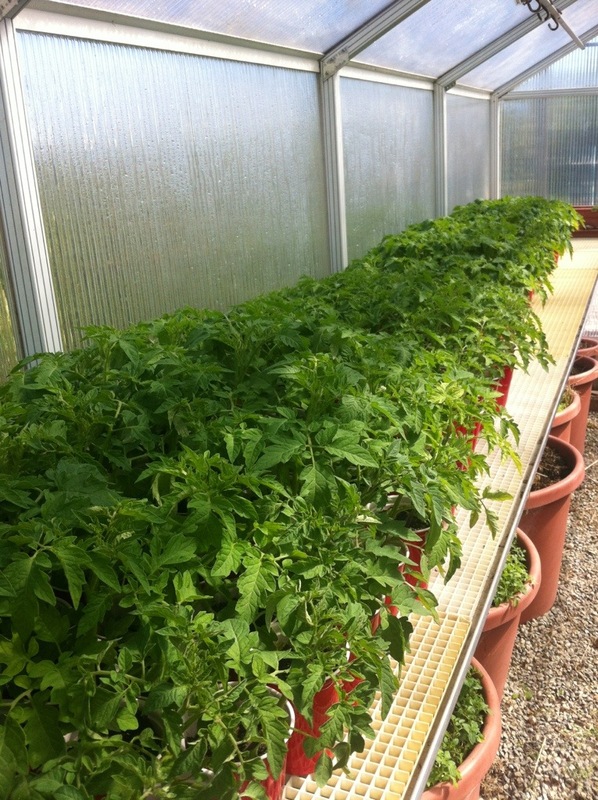 There are still about 200 plants up at the other greenhouse- 150 spoken for that will go out in two weeks, and about 50 others that need to come down. Half of those sold today, I know we won’t have trouble finding a home for the rest!